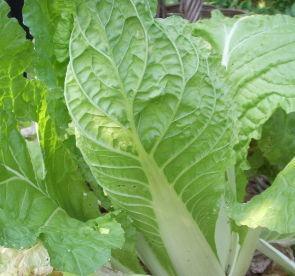 Use compost tea to grow vegetables. A compost tea recipe is something you can make to use as a great soil amendment and fertilizer to benefit your vegetables and other plants. While the name implies that there is some form of tea leaves used in this compost, a compost tea is a mixture you create that only looks like tea. A compost tea recipe introduces beneficial bacteria and organisms into your garden. Compost tea is a natural aerobic fertilizer that is made by soaking compost in water. This process creates a highly nutritious "tea" that is then used to fertilize and improve the soil in your garden. There are a number of ways to make compost tea. The first thing you need to do before you can actually make a tea is to create homemade compost. You can make compost from kitchen vegetables, tea leaves, egg shells, coffee grounds, and other food scraps. You can't use meat or dairy products, since these grow rancid and create the wrong type of bacteria. In addition to using kitchen food waste, you can also use lawn and garden clippings, and leaves to create a compost pile. You may choose a simple composting method of piling leaves and other compost material in a specific area of your garden. If you prefer, you can use a compost bin, add a few composting bacteria to speed up the process of decomposition. The finished compost can be used as a soil fertilizer or mulch placed around your plants to assist in holding moisture. When used as a soil amendment, compost keeps the soil loose so it will retain more moisture. How much compost tea you need is determined by the size of your garden. A five-gallon bucket is typically enough for an average-sized garden of raised beds. If you need to make larger amounts, then a compost tea brewer may be useful. It is possible to make compost tea brewers as well as to buy them readymade; you just use a larger container. The goal in making a compost tea is to cook the compost until the bacteria in the soil has multiplied to a beneficial state. The most common method is to use an aquarium air pump to disperse oxygen into the concoction in order to stimulate this cooking or growth of soil bacteria. Five gallons of non-chlorinated water. You can purchase spring water jugs or or use the water you've collected in a rain barrel. Non-chlorinated well water is fine. Another alternative for those with access to clean unpolluted water from a stream or pond is to use this natural resource. If you must use chlorinated water, then place the air stones in the collected water and let the pump run for about two hours before using the water. For best results also add one to two ounces of unsulfured organic molasses, which will feed the bacteria. You'll need to stir the tea two to three times a day. Step One: Take the aquarium air stones and place them flat in the bottom of the bucket and attach three equal lengths of tubing. Connect the tubing to each airstone and the 3-way valve. Make sure to leave enough tubing to use for connecting the valve to the pump. You want to set the pump on a level surface to ensure it works properly. Step Two: Place the compost into the 5-gallon bucket. Most people fill the bucket halfway, while a few prefer to use only enough to cover the stones. Either will work, but the more compost you use, the stronger your tea will be. Step Three: Fill the bucket with water until it's about two to three inches from the rim. Step Four: Cook the compost by leaving the air pump running 24 hours a day for at least three days. Step Five: Once your compost tea is ready, strain it through cheesecloth into another five-gallon bucket and begin using the tea immediately. You can use a watering can or a sprayer. It's very important that you don't use a compost tea around harvest time since many of the live bacteria may be harmful if ingested. Also, it's too late for the beneficial effects of a compost tea once the vegetables and fruit have ripened. Check your pump regularly to ensure it's still working. Without the aid of oxygen being pumped into the mixture, bacteria will consume all of the oxygen and leave behind an unpleasant stench. This process is known as anaerobic and is toxic to your plants and vegetables. Turn off the air pump after three days. Once you strain the compost, you can either return the leftover to the compost bin or use it as mulch around your plants. Compost tea cannot be stored and needs to be used on the third day. Spray compost tea directly onto the foliage of your plants to help boost the plants' immune systems to diseases. Compost tea is a natural way to improve and feed the soil. By using household food waste to make the compost you help the environment as well as create important nutrients for your soil.